There are several easy trails from the main lodge to the trout ponds and gardens. 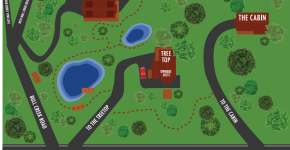 Trails also connect all the buildings: Main Lodge, Owner’s Lodge / Tree Top Room and the Cabin on Long Mountain. 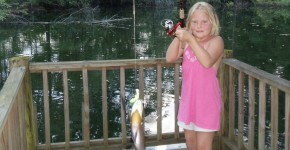 Catch and release fishing for rainbow trout, bass and blue gills in our Big Pond. There is also room at the Big Pond to practice your fly fishing techniques and land a trout. 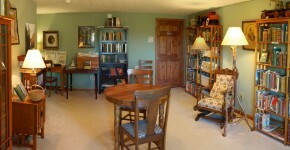 As antique and rare book dealers for many years, Tim and Dianne have opened Long Mountain Rare Books in the library of the Main Lodge. Over 500 volumes of classics, history, poetry, children’s, first editions, exploration, westerns, etc from the 19th and 20th centuries. 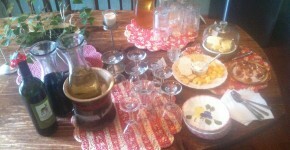 Each day from 4:30 till 6:00 PM for guests of the B&B. 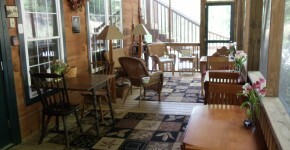 Enjoy our view day or night from the large covered porch with game table and Adirondack chairs. Read a book. Snooze. 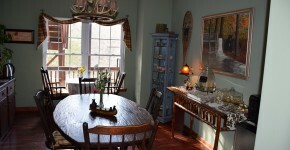 Relax on our screened porch (also used for breakfast much of the year). 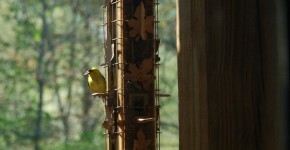 Feeders can be easily seen from the deck, screened porch, and dining room. 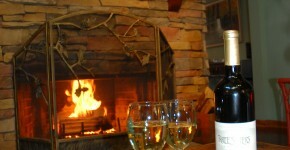 A favorite pastime for guests. 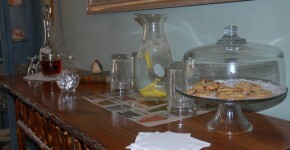 There are cookies made from scratch, Coke, Diet Coke, ice water, Keurig coffee maker, specialty loose leaf teas, and Sherry available 24/7. Enjoy while watching a movie on a DVD or on Direct TV. 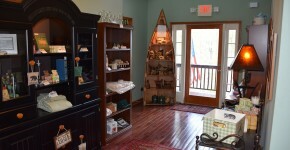 You can also play board games or work on a puzzle in the library, or on one of the porches..
We have expanded our gift shop with some unique items such as balsam pilliows and and several varieties of soaps. A great place to read or relax. 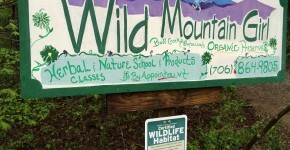 Herbalist and naturalist, Cindi Tidwell Vernon will be conducting tours of the area near the lodge at 10am or 5pm. Cindi comes with 20 plus years of experience in medicinal herbs, culinary herbs, growing native and common herbs. 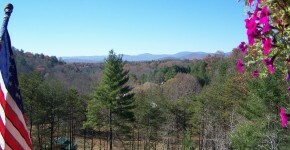 She has lived in and explored the beauty of the North Georgia mountains for over twenty years . $15 per person fee with one days advanced notice.